a device commonly used for cookery which is commonly found in kitchens, for applying heat to the base of pans. 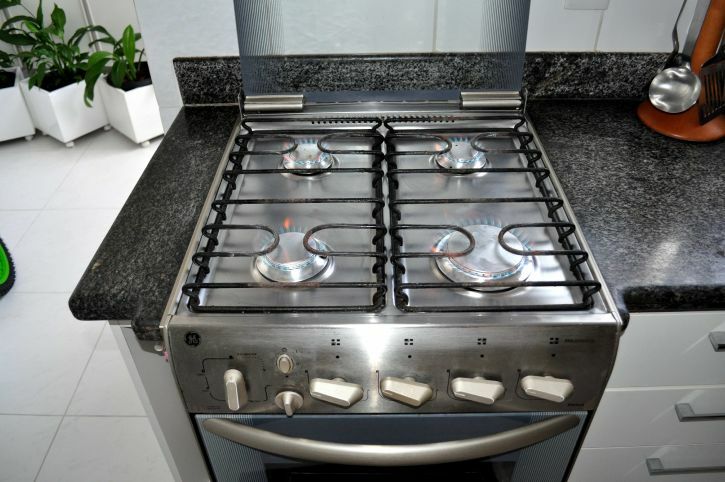 Cooktops are commonly powered by gas or electricity and often found integrated with an oven. 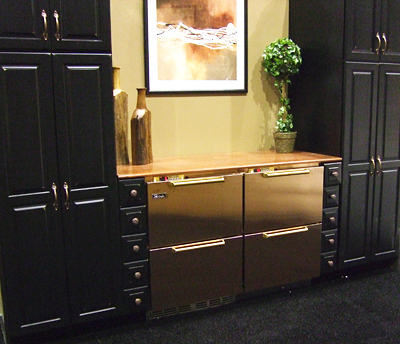 a type of cooking range whose surface is sort of a cross between a griddle and a grill. 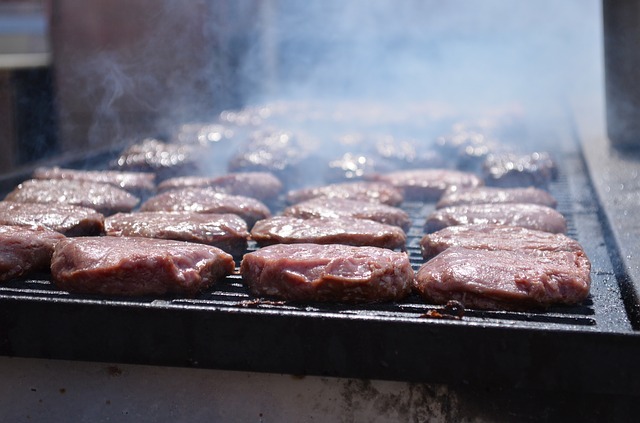 Unlike a grill, a flat top doesn’t have a grate, but simply a flat cooking surface. 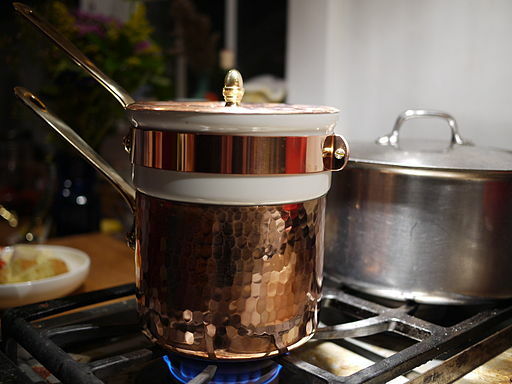 A stove where your pan is heated by a magnetic field instead of having its bottom sitting on a flame with a gas cooktop or on an element with an electric stove. 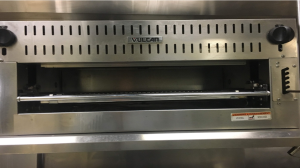 An oven that uses radiant heat (such as from burners or heating elements) to heat; and does not use a fan to recirculate heated air or electromagnetic induction or other means to heat. 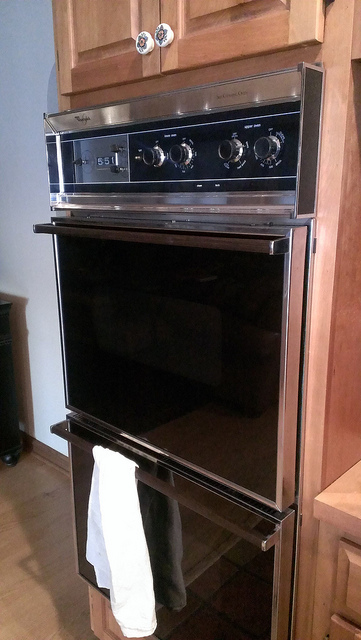 An oven that has a fan with a heating element around it. A small fan circulates the air in the cooking chamber. 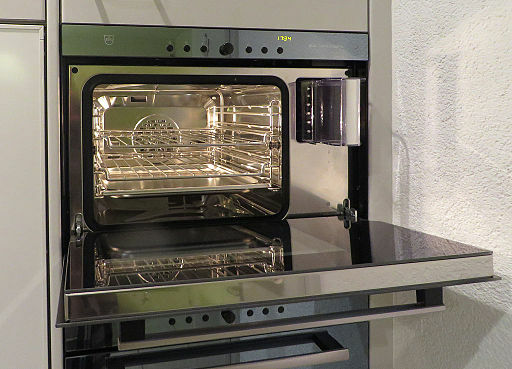 an oven with three functions: convection, steam and combination cooking. 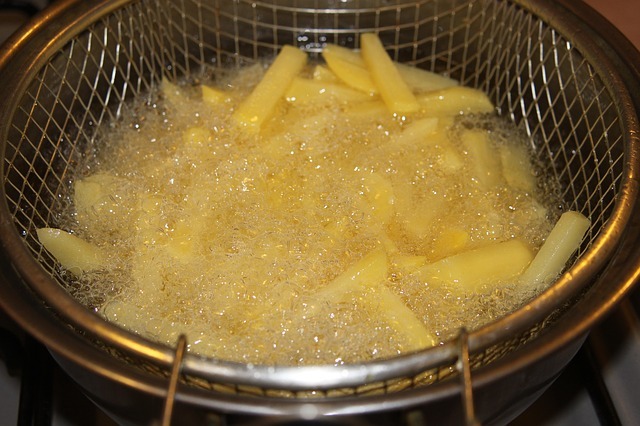 A heated vessel for frying food by immersing in hot fat or oil, as opposed to shallow frying in a frying pan. 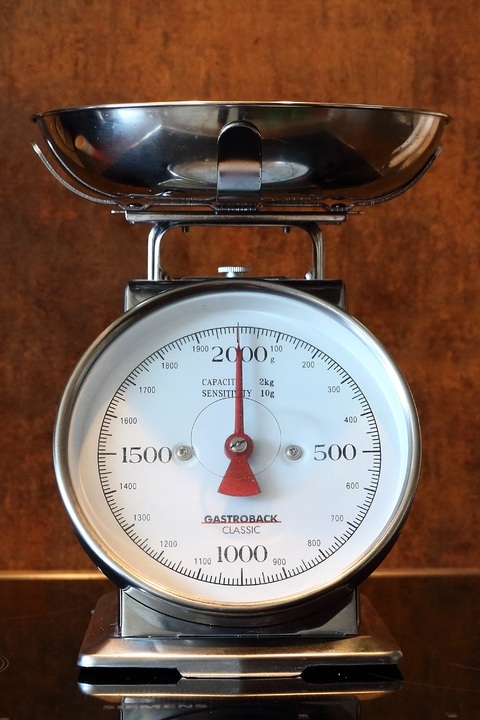 an improved, self-contained version of the large stockpot used for range top cooking. 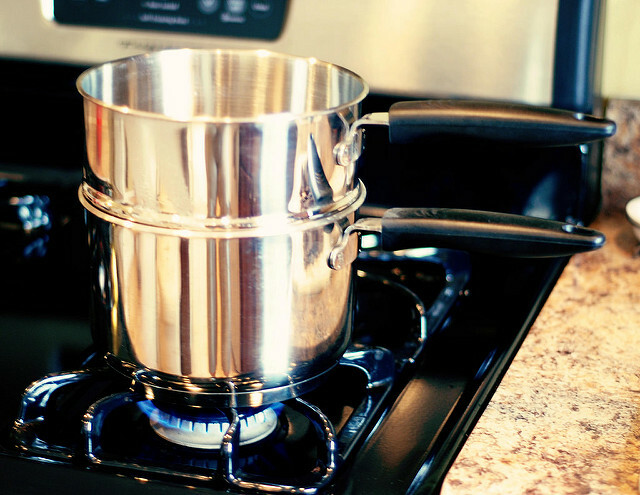 Steam kettles are often used to boil pasta, simmer sauces, stocks and stews. 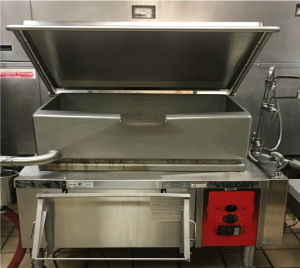 a kitchen appliance used to cook or prepare various foods with steam heat by means of holding the food in a closed vessel reducing steam escape. 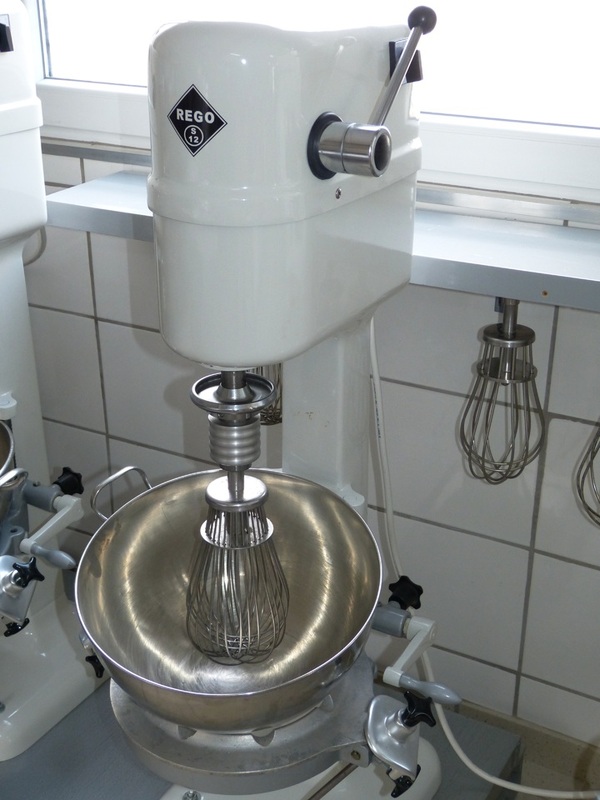 a kitchen utensil which uses a gear-driven mechanism to rotate a set of beaters in a bowl containing the food to be prepared which automates the repetitive tasks of stirring, whisking or beating. 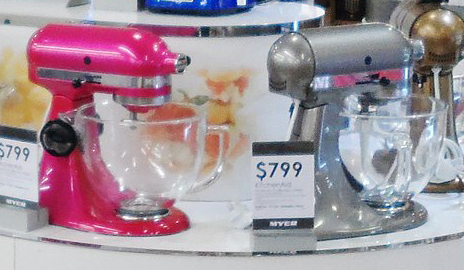 A large mixer which is 3 to 4 feet tall and sits on the floor. 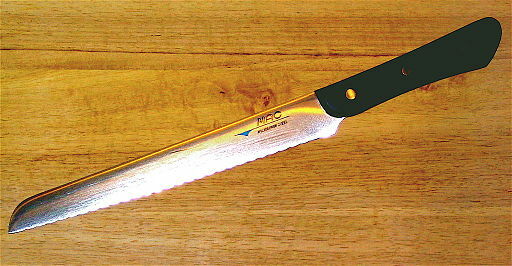 a tool used in butcher shops and delicatessens to slice meats, sausages, cheeses and other deli products. 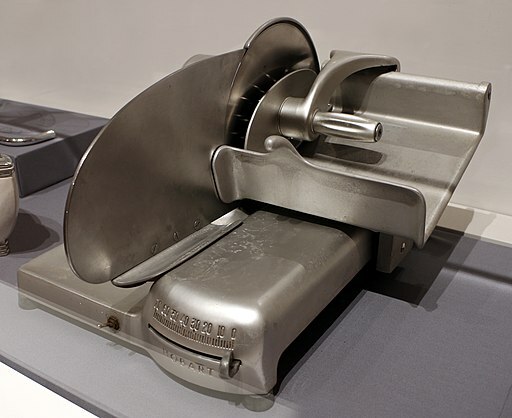 Also called a slicing machine, deli slicer or a meat slicer. 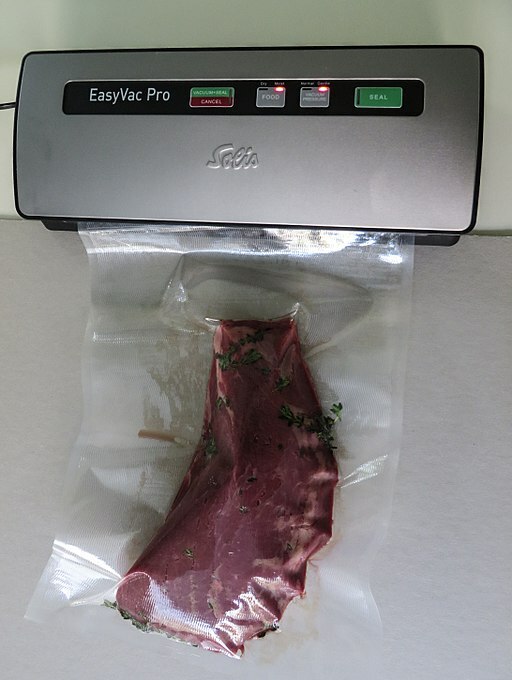 an electric appliance with interchangeable blades within a closed container into which food is inserted for slicing, shredding, mincing, chopping, puréeing, or otherwise processed at high speeds. 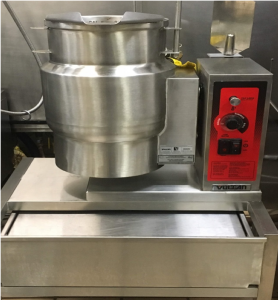 a kitchen appliance used to mix, purée, or emulsify food and other substances. 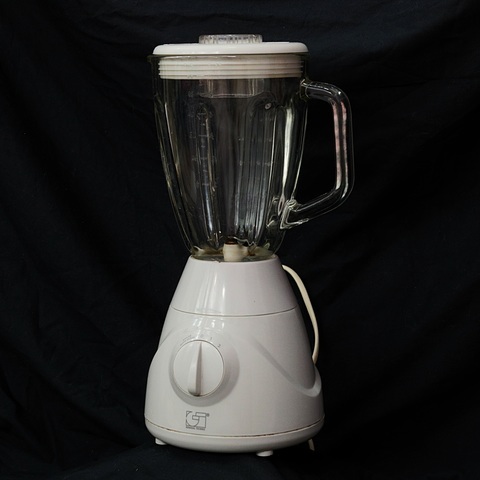 A stationary blender consists of a blender jar with a rotating metal blade at the bottom, powered by an electric motor in the base. 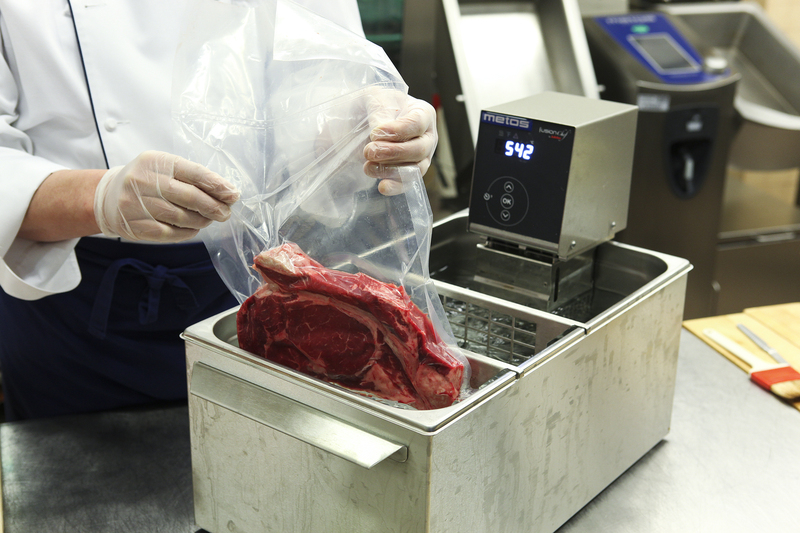 a device that enables a method of packaging that removes air from the package prior to sealing. This method involves (manually or automatically) placing items in a plastic film package, removing air from inside, and sealing the package. 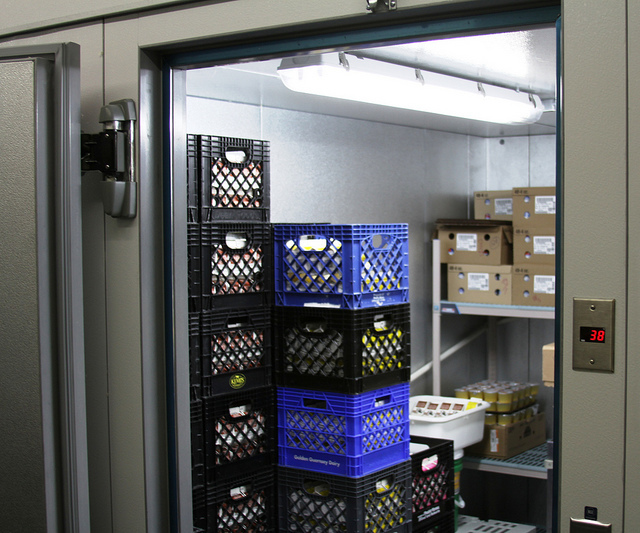 an enclosed storage space refrigerated to temperatures equivalent to a normal refrigerator and is closer in size to a household refrigerator than a walk-in cooler. 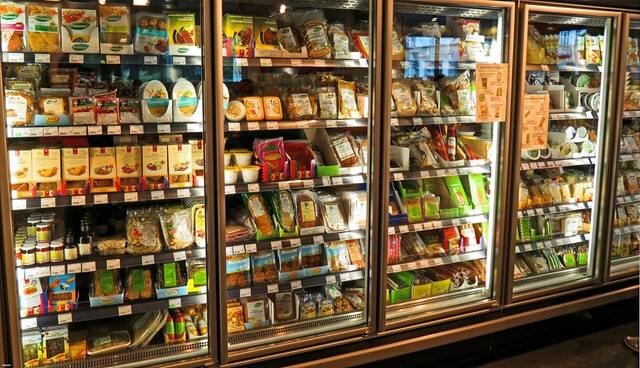 a combination of a walk-in and reach-in cooler where you can enter the refrigerated area and stock the shelves in the back, while customers can access the refrigerated products through glass doors on the front. 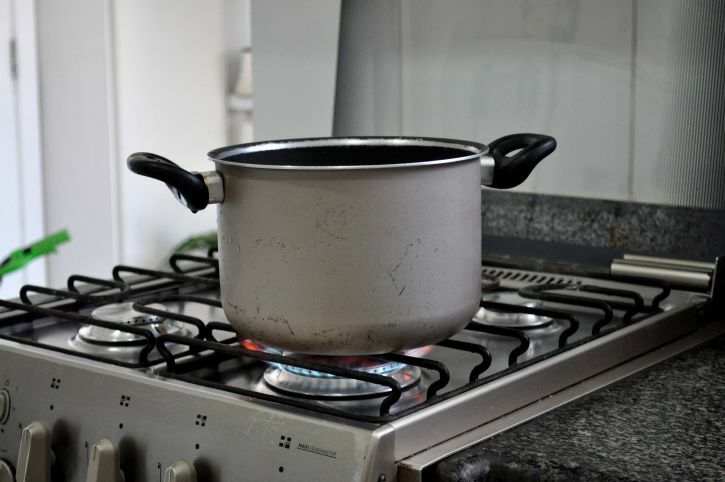 a cooking pot that has handles on either side and tight fitting lid; used for stewing or boiling. a cross between a pan and a pot, this pot is about 3-4 inches deep and about 1 foot in diameter with 1 long handle or 2 on either side and a lid. 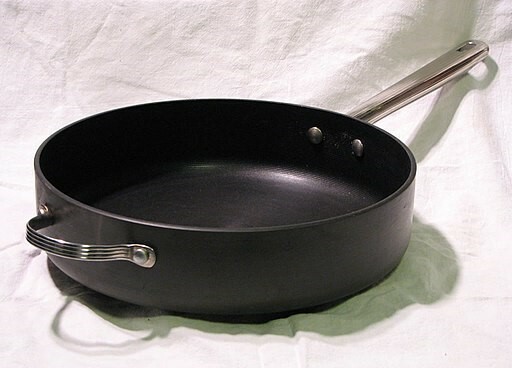 a pan with a wide flat bottom and vertical sides 4-5 inches high with a long handle on one side and a helper handle on the other and a lid. a pan with a wide flat bottom and sloped sides 3-4 inches high with a long handle on one side. 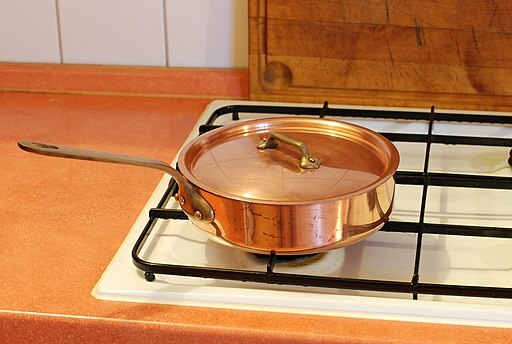 A large pan containing hot water, into which other smaller pans are set in order to cook food at low heat (below the boiling point) or to keep food warm. 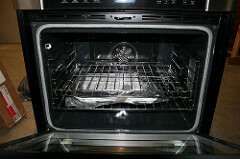 a flat, rectangular metal pan typically about 2 feet by 1 foot and 1 inch deep used in an oven. 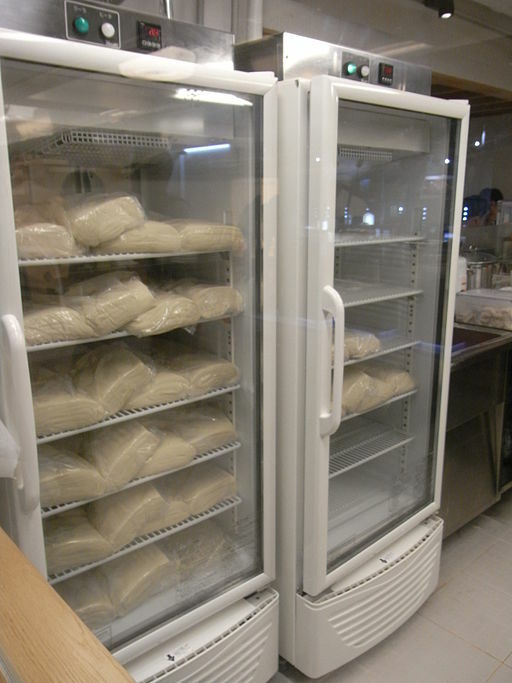 It is often used for baking bread rolls, pastries and flat products such as cookies, sheet cakes, Swiss rolls and pizzas. 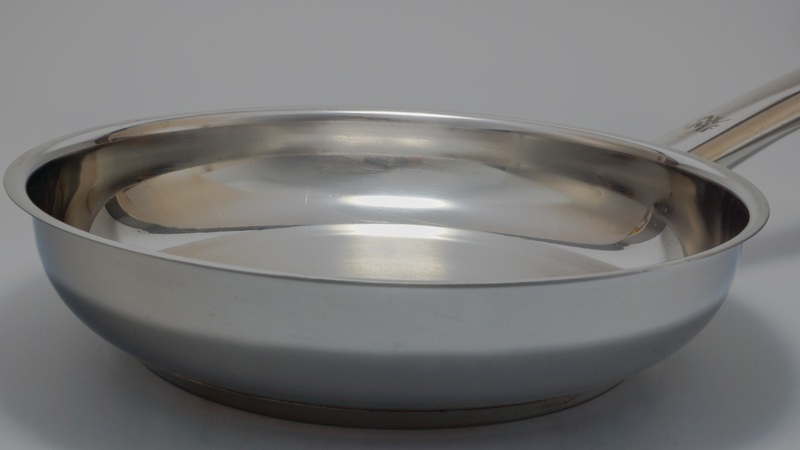 a piece of cookware 5-6 inches deep typically with a lid used for roasting meat in an oven, either with or without vegetables or other ingredients. 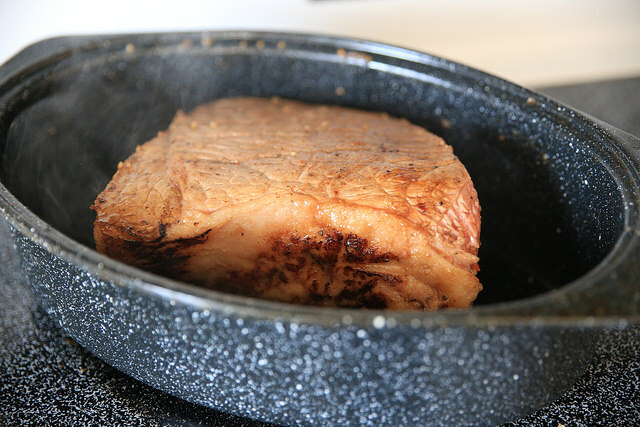 A roasting pan may be used with a rack that sits inside the pan and lets the meat sit above the fat and juice drippings. 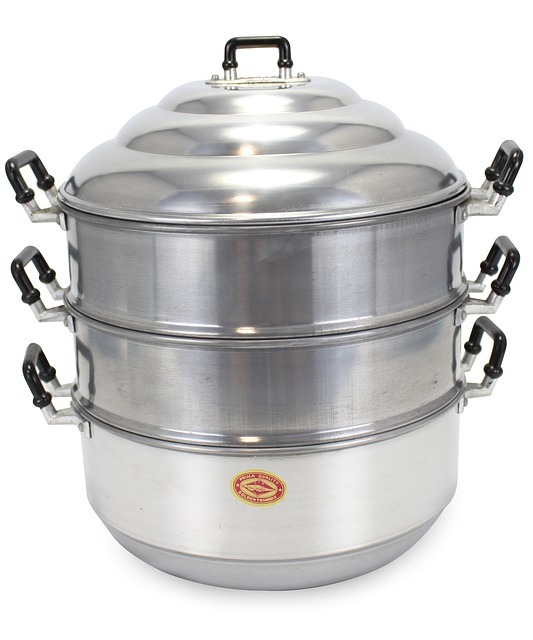 a versatile round-bottomed cooking vessel with long handle, originating from China and used in a range of different Chinese cooking techniques, including stir frying, steaming, pan frying, deep frying, poaching, boiling, braising, searing, stewing, making soup, smoking and roasting nuts. 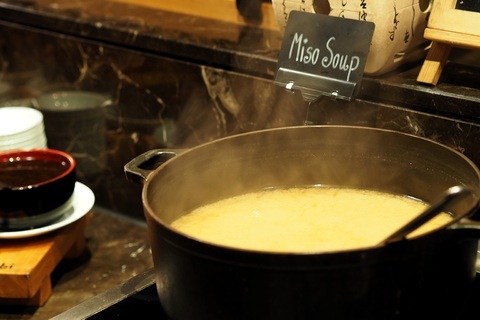 a type of heated bath used in cooking to heat ingredients gently and gradually to fixed temperatures, or to keep materials warm over a period of time. 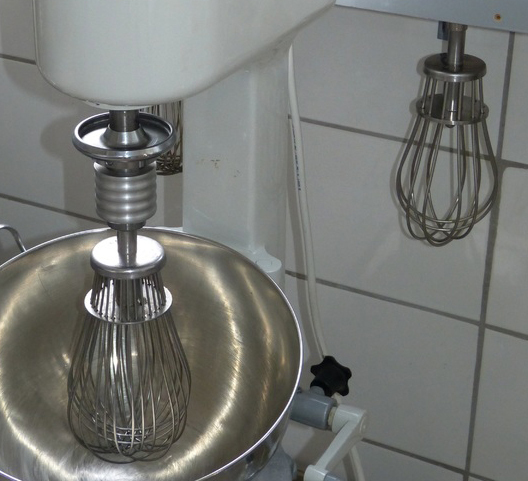 A bain-marie is also used to melt ingredients. 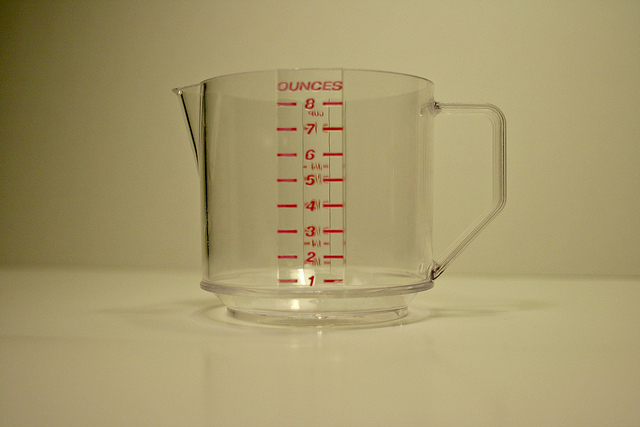 Also known as a water bath or double boiler. 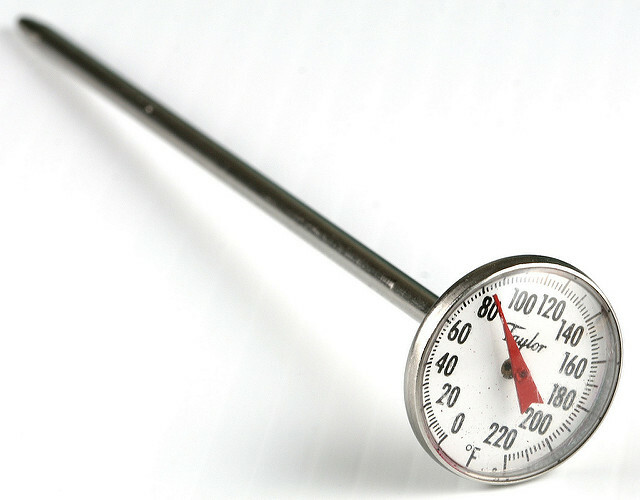 a thermometer used to measure the internal temperature of meat, especially roasts and steaks, and other cooked foods. 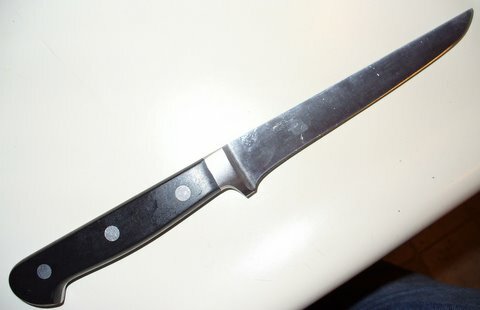 The utility knife was originally a fixed blade knife with a cutting edge suitable for general work such as cutting hides and cordage, scraping hides, butchering animals, cleaning fish, and other tasks. 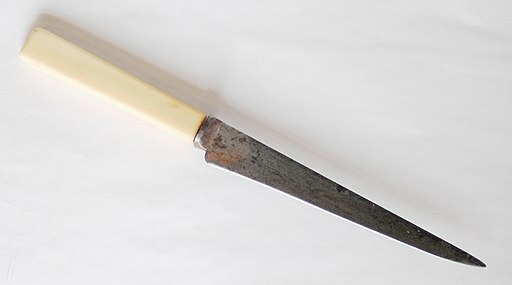 A thin-bladed knife intended for coring and paring (peeling) fruit such as apples as well as slicing small ingredient it is majorly used for detailed & controlled cutting. its edge is lined with small teeth, similar to a saw’s. 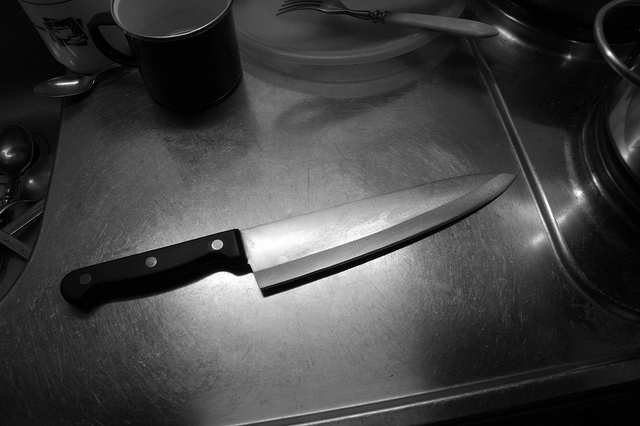 It will cut tomatoes, bread, and meat more effectively than a smooth-edged blade. 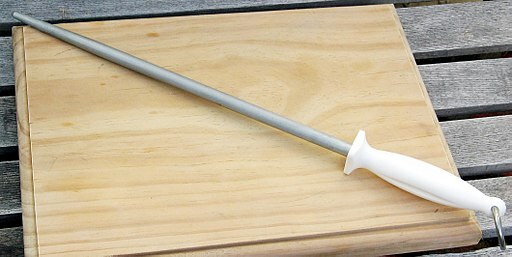 a large, very sharp knife for cutting or trimming meat. 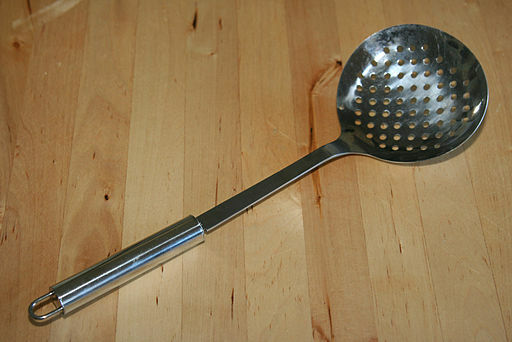 A kitchen utensil that is used to pry open the hard shell of a clam or an oyster in order to remove the meat. 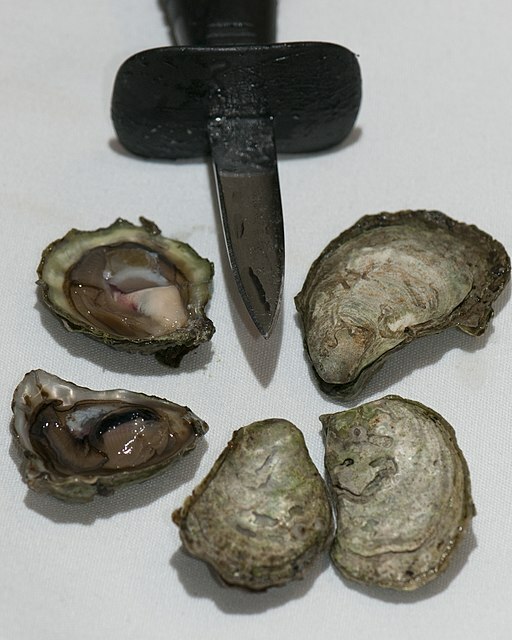 a short, thick blade that is used to pry open oysters and separate their meat from the shell (shucking). 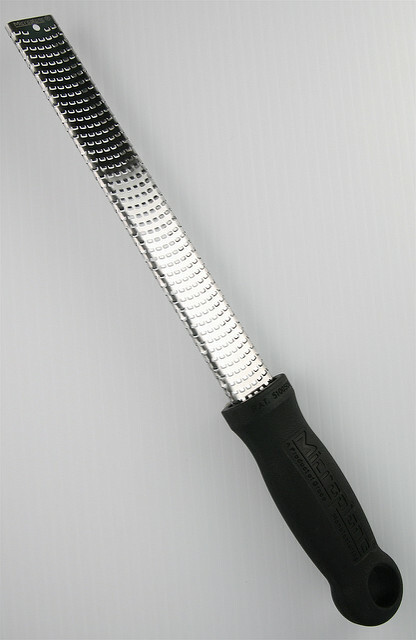 a rod of steel, ceramic or diamond-coated steel used to realign/sharpen blade edges. 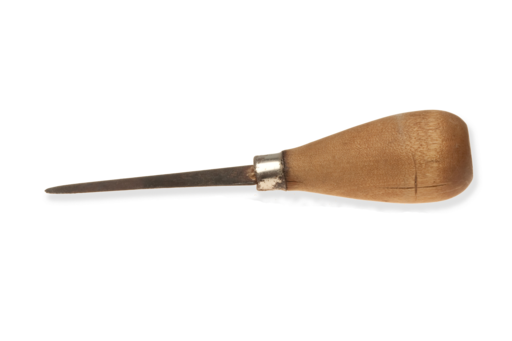 is a small spoon-like tool used to cut round- or oval-shaped sections of melon, known as melon baller, by pressing them into the melon’s flesh and rotating. 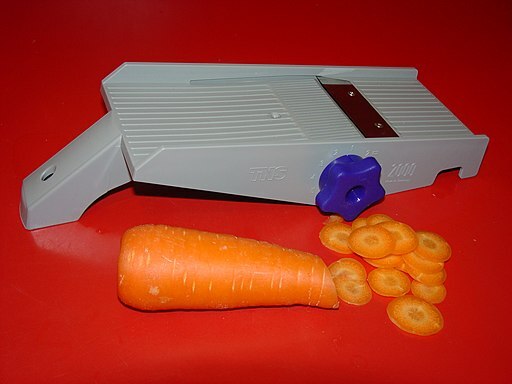 It can also be used to cut other soft fruit and ice cream. 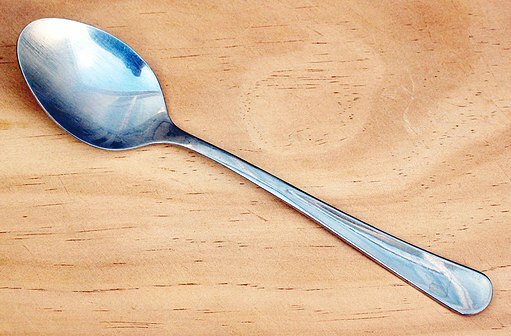 A type of fork that is used for a many different cooking tasks when working with variety of different foods that are boiled, baked, cooked, stir-fried, or grilled. 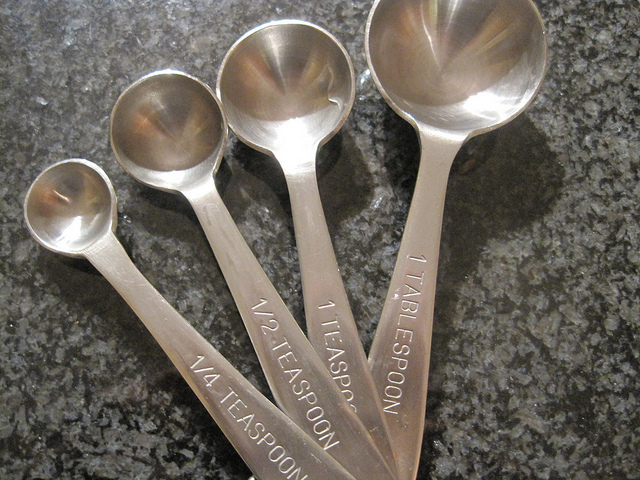 Cooking forks may be very short in length to enable smaller foods to be moved or removed from pans or they may be longer in length and larger in size to keep hands away from heat and to enable larger food items to be easily handled. 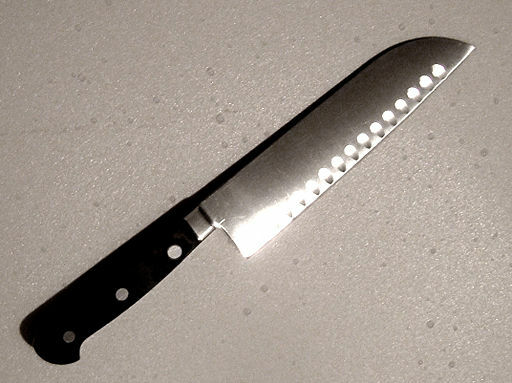 A palette knife is a knife with a broad, flat, flexible blade used in cooking, or in painting to apply oil paint to a canvas or other surface. 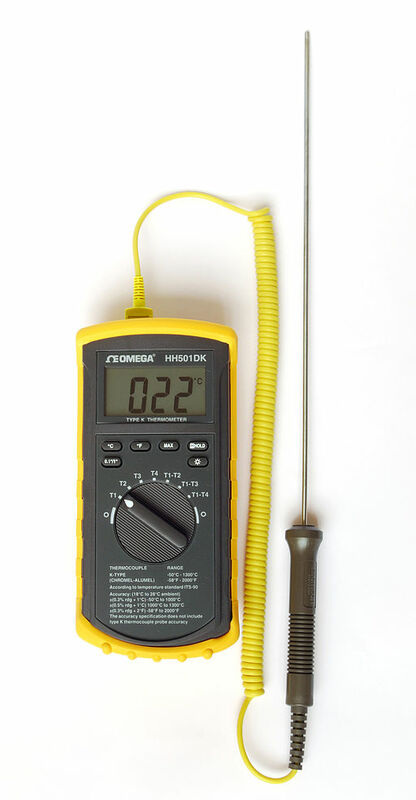 long, narrow tools that have a thin, flat metal blade or paddle at one end. 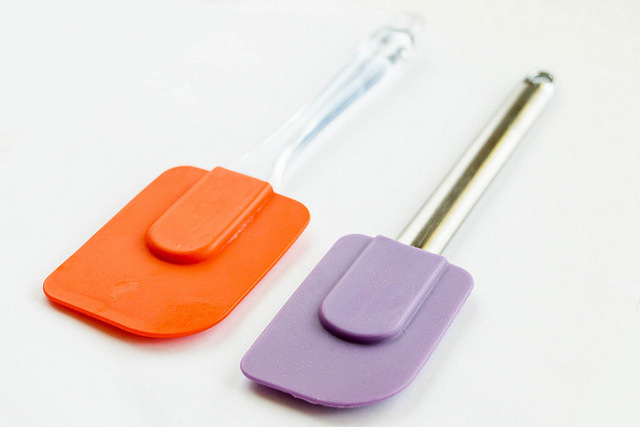 The blade is blunt, not sharp, and is used for spreading frosting onto a cake or pushing batter into an even layer in a cake pan. 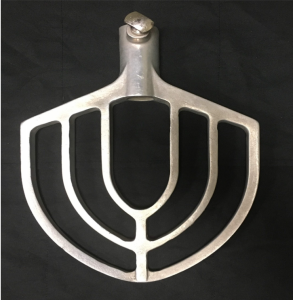 A cake and pie server, also called a cake shovel, pie knife, crépe spade, pie-getter, pie lifter or cake slice, is a serving utensil used in the cutting and serving of pies and cakes. 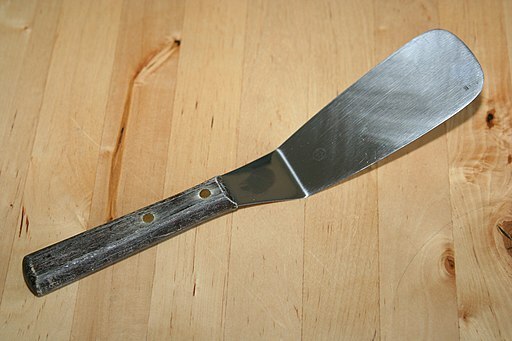 Some cake and pie servers have serrated edges. Another use can be to serve pizza. 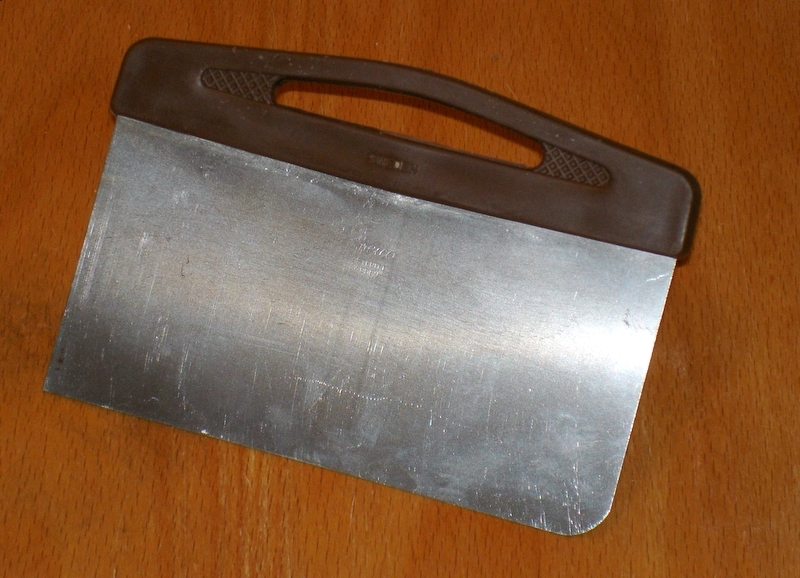 a straight-edged metal rectangle with a handle along one side. 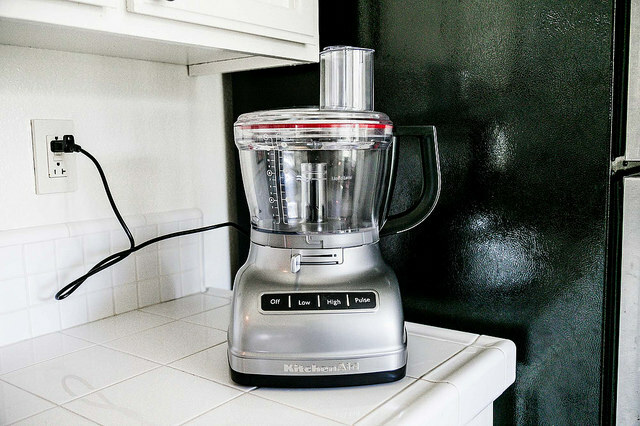 Its primary use is to scrape unrolled dough from a work surface and cut dough into smaller pieces, but it comes in handy for other tasks, too. A kitchen utensil used for cutting pastry dough as it is being formed and prepared for baking. 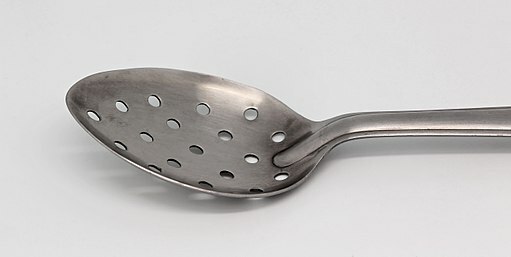 A skimmer is a flat, sieve-like scoop or spoon used for skimming cooking liquids or lifting ripened cream from milk, such as a spider used in Chinese cuisine. 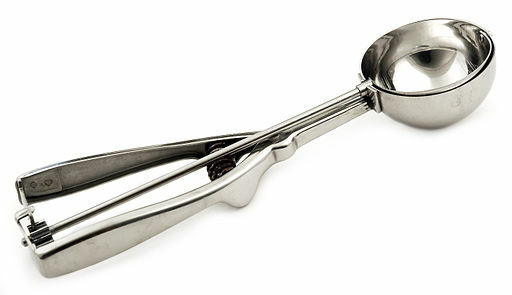 Tongs that have long arms terminating in small flat circular ends of tongs and are pivoted at a joint close to the handle used to handle delicate objects. 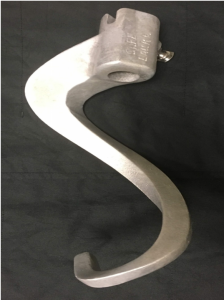 Common fire-tongs, used for picking up pieces of coal and placing them on a fire without burning fingers or getting them dirty are of this type. 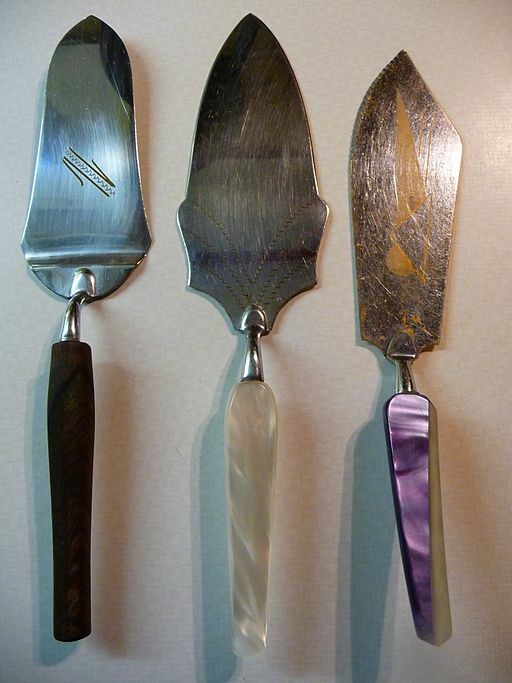 Tongs for grilling, tongs for serving salad or spaghetti are kitchen utensil of the same type. 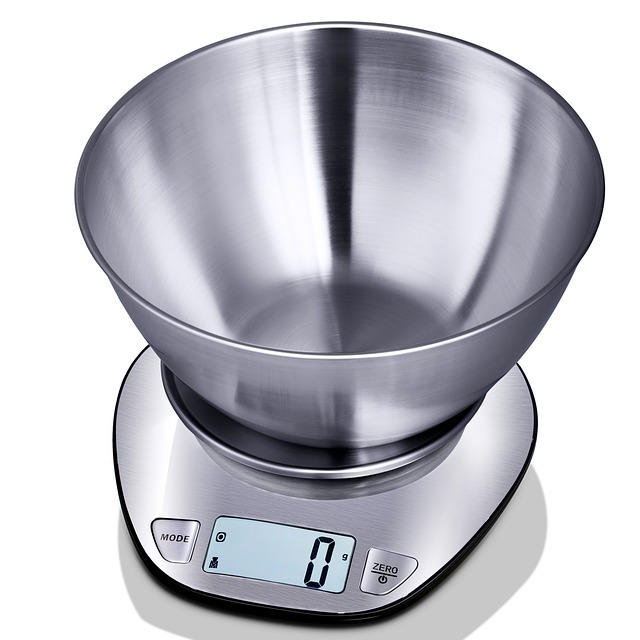 They provide a way to move, rotate and turn the food with delicate precision, or fetch a full serving in one grab. 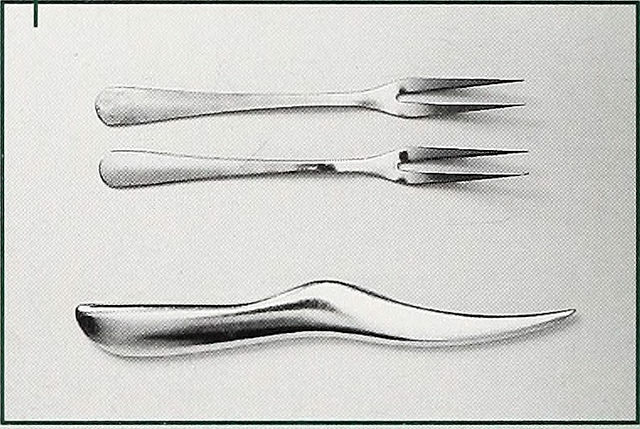 Tongs consisting of a single band of metal bent round one or two bands joined at the head by a spring, as in sugar-tongs (a pair of usually silver tongs with claw-shaped or spoon-shaped ends for serving lump sugar), asparagus-tongs and the like. 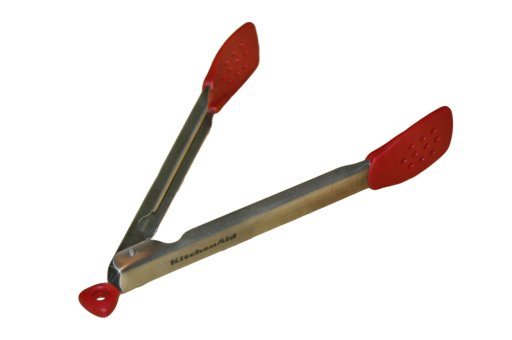 Tongs in which the pivot or joint is placed close to the gripping ends are used to handle hard and heavy objects. 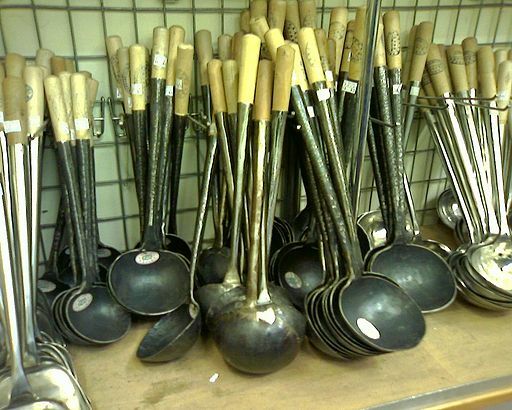 Driller’s round tongs, blacksmith’s tongs or crucible tongs are of this type. 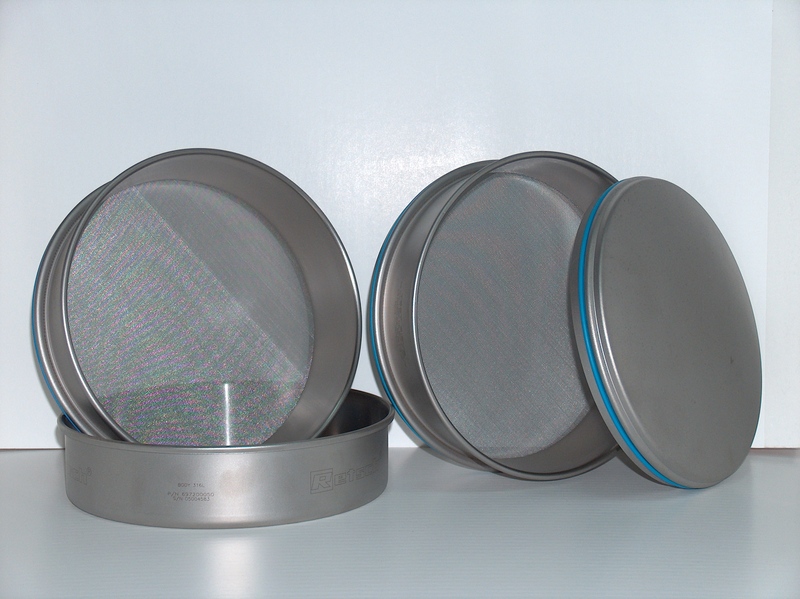 a conical sieve with an extremely fine mesh. 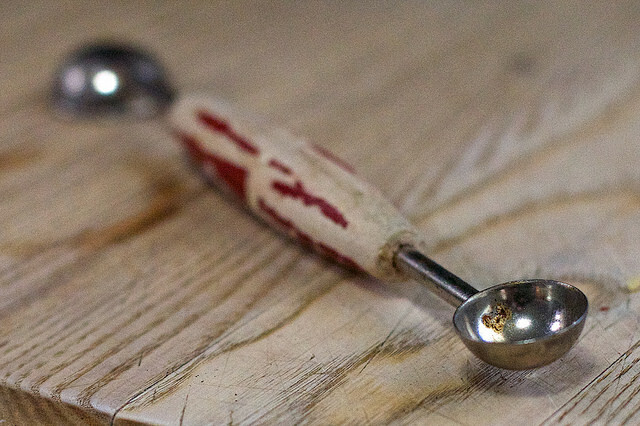 It is used to strain custards, purees, soups, and sauces, producing a very smooth texture. 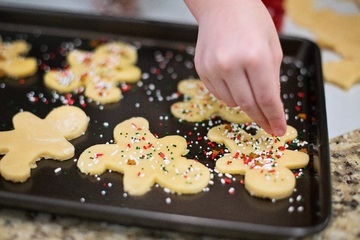 It can also be used to dust food with a fine layer of powdered ingredient. 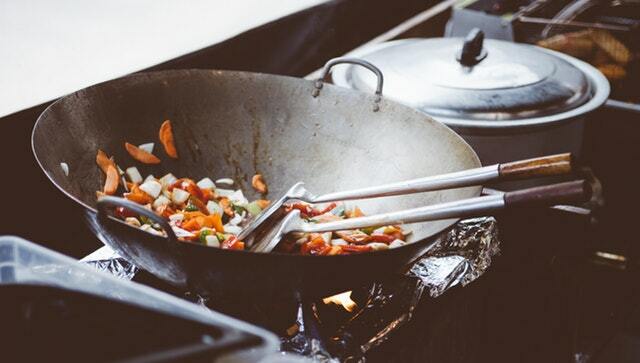 A tamis (pronounced “tammy”, also known as a drum sieve, or chalni in Indian cooking) is a kitchen utensil, shaped somewhat like a snare drum, that acts as a strainer, grater, or food mill. A tamis has a cylindrical edge, made of metal or wood, that supports a disc of fine metal, nylon, or horsehair mesh. 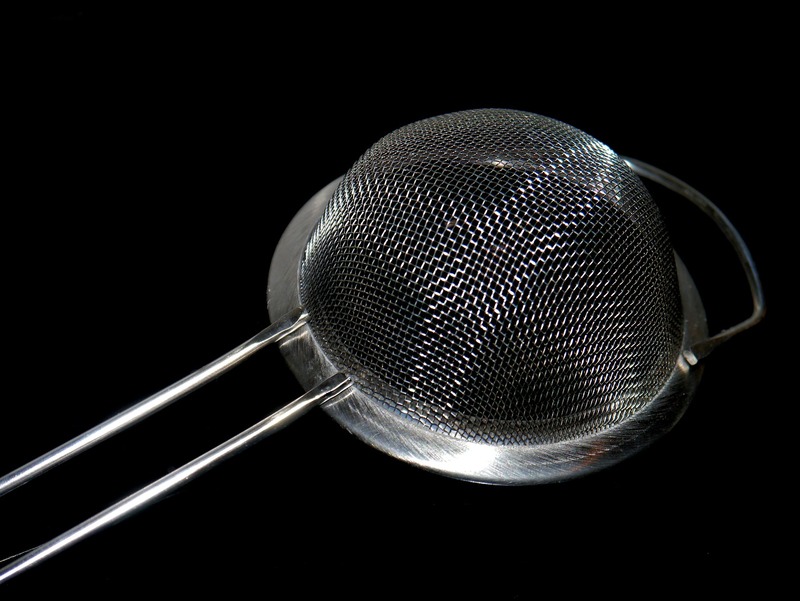 To use one, the cook places the tamis above a bowl and adds the ingredient to be strained in the center of the mesh. 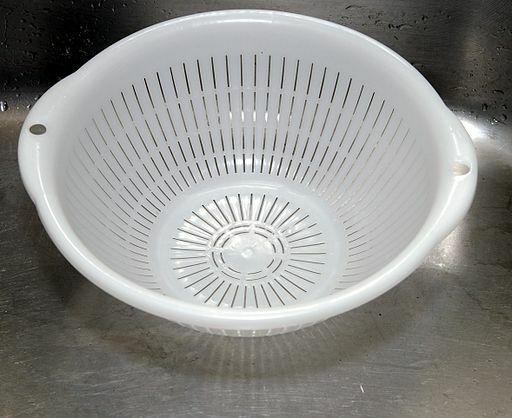 A colander (or cullender) is a bowl-shaped kitchen utensil with holes in it used for draining food such as pasta or rice. 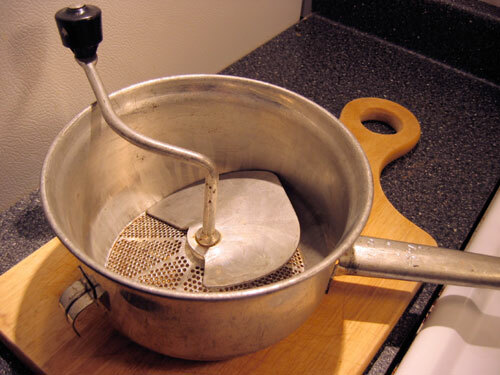 A food mill (also called passatutto, purée sieve, moulinette, mouli légumes, or passe-vite) is a food preparation utensil for mashing and sieving soft foods. 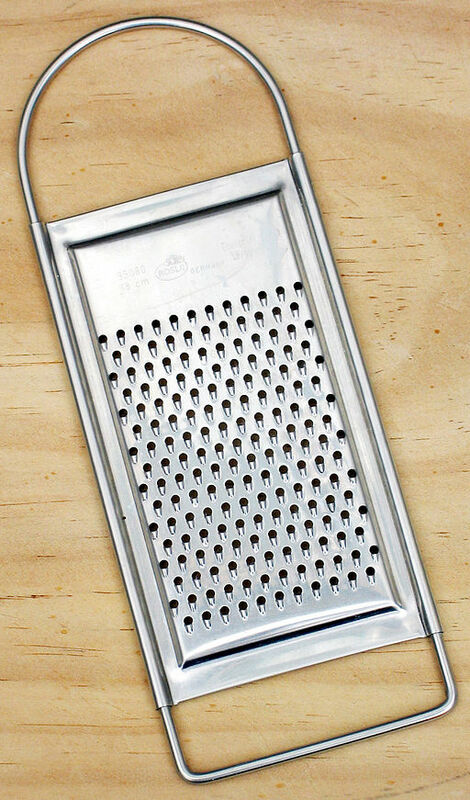 A grater (also known as a shredder) is a kitchen utensil used to grate foods into fine pieces. 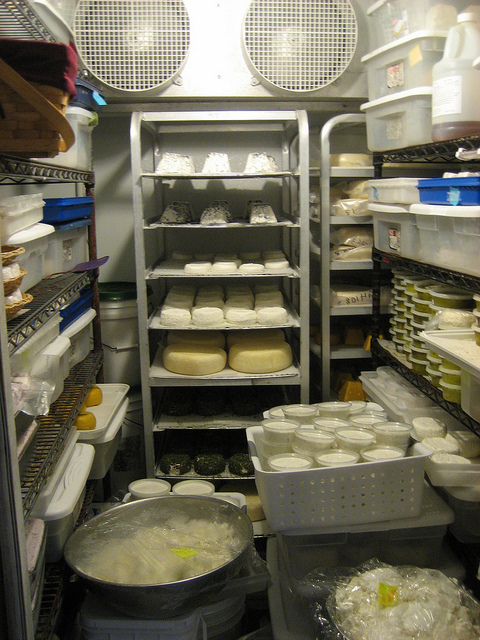 It was invented by François Boullier in the 1540s, originally to grate cheese. 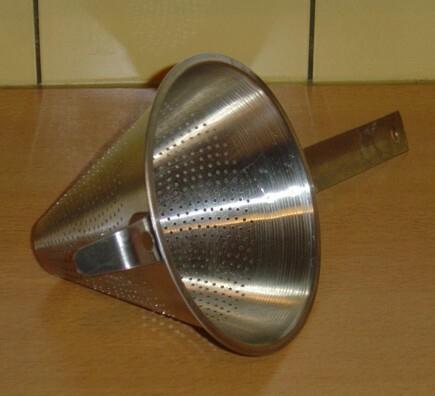 A zester (also, citrus zester or lemon zester) is a kitchen utensil for obtaining zest from lemons and other citrus fruit. 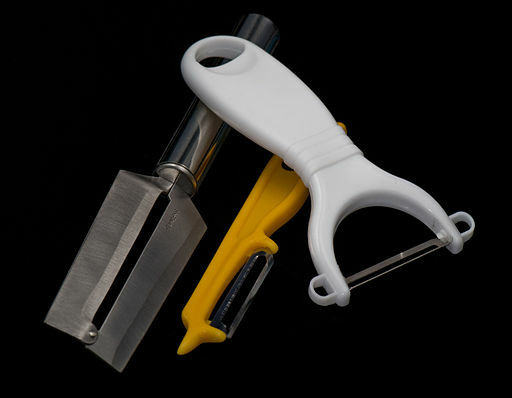 a cooking utensil used for slicing and for cutting juliennes; with suitable attachments, it can make crinkle-cuts. Its name is derived from the wrist-motion of a skilled user of a mandolin, which resembles that of a player of the musical instrument mandolin. 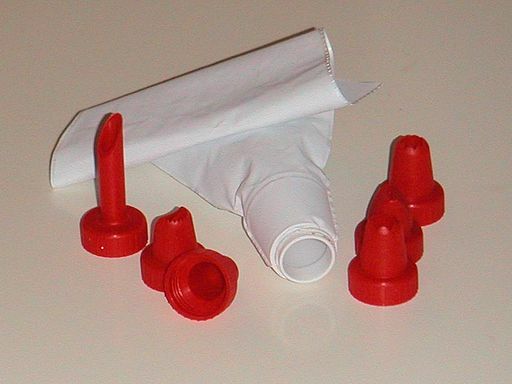 A pastry bag (or piping bag in the Commonwealth) is an often cone- or triangular-shaped, hand-held bag made from cloth, paper, or plastic that is used to pipe semi-solid foods by pressing them through a narrow opening at one end, for many purposes including cake decoration. It is filled through a wider opening at the opposite end, rolled or twisted closed, and then squeezed to extrude its contents. 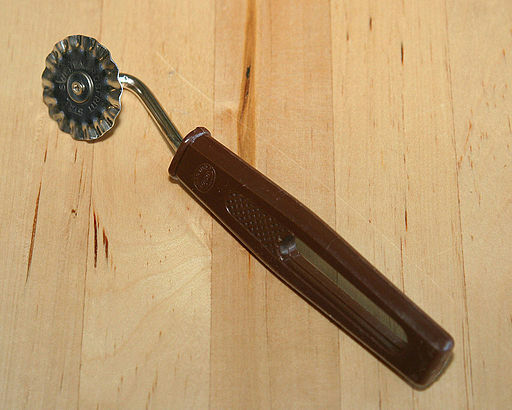 A pastry brush, also known as a basting brush, is a cooking utensil used to spread butter, oil or glaze on food. 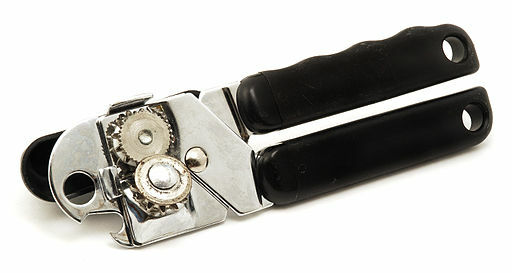 A can opener (in North American English and Australian English) or tin opener (in British and Commonwealth English) is a device used to open tin cans (metal cans).